In any competition, sporting or otherwise, coaching is an essential part of success. The rapport and camaraderie between coach and competitor can be the key to tapping into the potential of both parties. Redshirt Junior Weslie Totten and UCR’s women’s cross country learned that the hard way after a coaching change over the past offseason that saw newly promoted Nate Browne hire Robert Hansen, formerly of the University of Texas, Rio Grande Valley, as lead assistant cross country and track and field coach. The first season is normally the most difficult for a new regime to implement its philosophies and the players to adjust accordingly, and it did have an impact on some of the athletes. For Totten, this season was about mental perspective. “I had mixed feelings about it. 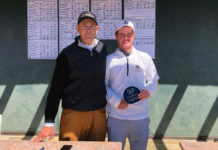 It was a big transition with a new coach so it is always (interesting) to learn how a new coach (works with) his new workouts and everything,” Totten said. In athletics and particularly in an endurance sport like cross country, mental toughness is essential to maximize performance, especially during the latter end of a competition where fatigue is a greater factor. Having a coach that you trust can be the difference, and Totten understands that building a relationship with Hansen is essential to getting the results that she wants. “I talk to my coaches, I feel like I have good communication with my coaches, so that helps a lot because they help you mentally,” Totten explained. Mentality involves many facets that go beyond the coach however, and different athletes find their own mental edge in a variety of ways. One method which Totten applies is one you might not expect: Reading. I also read a book … I am actually still reading it, (it’s) called ‘Mind Gym’ and it really helps me works on my mental side. So in a race when I’m really tired or something, I can (push through). I already worked my mentality so it usually helps in a race,” she said. While the outside perspective sees the macro changes of a team and the results that come with it, the daily life and training of an athlete is also greatly impacted by a coaching change, and Totten reiterated its significance, expressing how much easier next season would be. “I’ll be more ready (for next season), and I’ll know his training more. I’m really excited for next year. We kind of learned how his workouts are, so it won’t be so new to us. It was kind of the opposite of last year and my training from freshman year. I think I like his training but it’s very different and I just needed to get used to it,” Totten explained. Such candid excitement is a stark contrast to Totten’s reflections on the previous season. This sentiment was demonstrated by her distaste toward her own performance at last year’s NCAA Regionals, despite improving her time from 22:24 to 22:09.07. It was a fitting way to end such a strange feeling season for Totten: A day where something just didn’t feel right. “It was just one of those days. The training was really different, but I don’t want to blame it on that, but it was just a lot of changes. 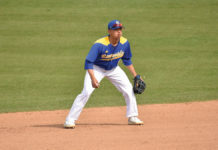 It was really hard mentally and physically and I just didn’t feel good at all,” Totten recalled. The disappointment and frustration was noticeable despite Totten’s attempts to conceal it. Going into your final offseason with undesirable results makes such a reaction expected with the passion and desire that athletes have for their sport. Despite some discouragement though, Totten still shows an excitement for next season, confident with a year with Hansen under her belt. Her expectations are still higher than in previous years. This year, it seemed it was all just one big adjustment. 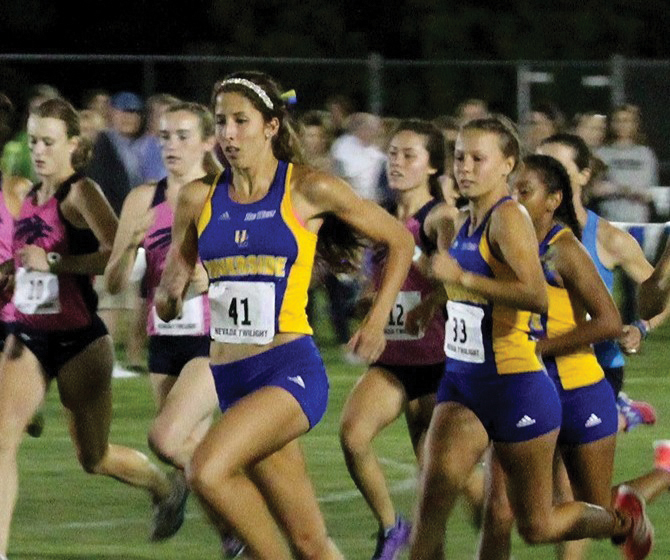 With the view unobstructed, Totten and UCR cross country can look to make the next big step.